In California, hiring is picking up in Silicon Valley, but the State’s overall unemployment rate has increased to 12.6% and the “underemployment rate” (U6) is approaching 24%. 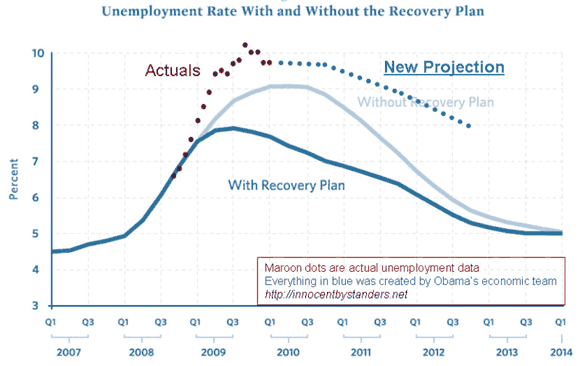 The recovery such as it is remains highly uneven. We should not be surprised that areas with high value-added jobs improves, but overall the situation is still tenuous at best. 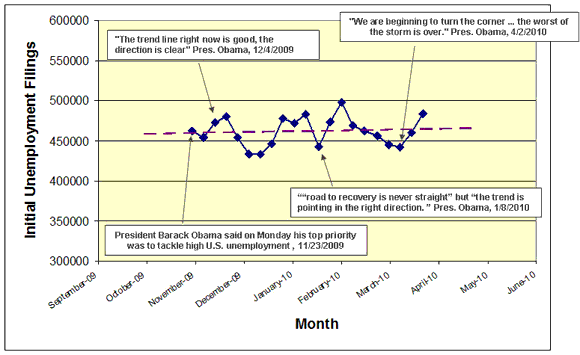 After the March unemployment report, Obama gushed about how substantial the improvement was and opined: “we are beginning to turn the corner.” Politicians will of course jump the gun, but investors need to be more circumspect. 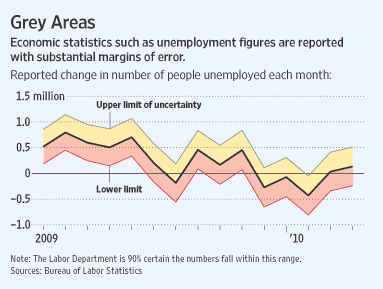 In other words, it isn’t even clear whether the number of unemployed rose or fell last month. Wow! To think that markets react to these numbers as though they were truly meaningful.